Hear the word of יהוה / Yahweh , ye rulers of Sodom; give ear unto the law of our Elohim, ye people of Gomorrah. Elohim, ye people of Gomorrah. February 15. 2017. Hear the word of יהוה / Yahweh, ye rulers of Sodom; give ear unto the law of our Elohim, ye people of Gomorrah. Today, February 15. 2017 As I worship יהוה / Yahweh King of Heaven by this song. The word of יהוה / Yahweh came to me, and יהוה / Yahweh said to me, ” Son of man, prophecy, Prophecy against America and say, Thus saith יהוה / Yahweh the King of Heaven, thou profane and wicked America the cup of thy an abomination is overflow. Therefore, I shall arise a sword in the midst of thee, and this sword shall devour a much flesh. And the son of man, if America will say unto you, ” Why יהוה / Yahweh has spoken against us, and why יהוה / Yahweh do this to us? ” The son of man, prophesy in My name and say to this profane and wicked land. Thus says the King of Heaven יהוה / Yahweh of hosts, You have done more wickedness than the nations around you, and you have not executed My fierce wrath upon LGBT, whom My soul abhorred. Therefore a sword shall devour a much flesh in the midst of thee. O son of man, prophesy, prophesy again against the land of Israel. 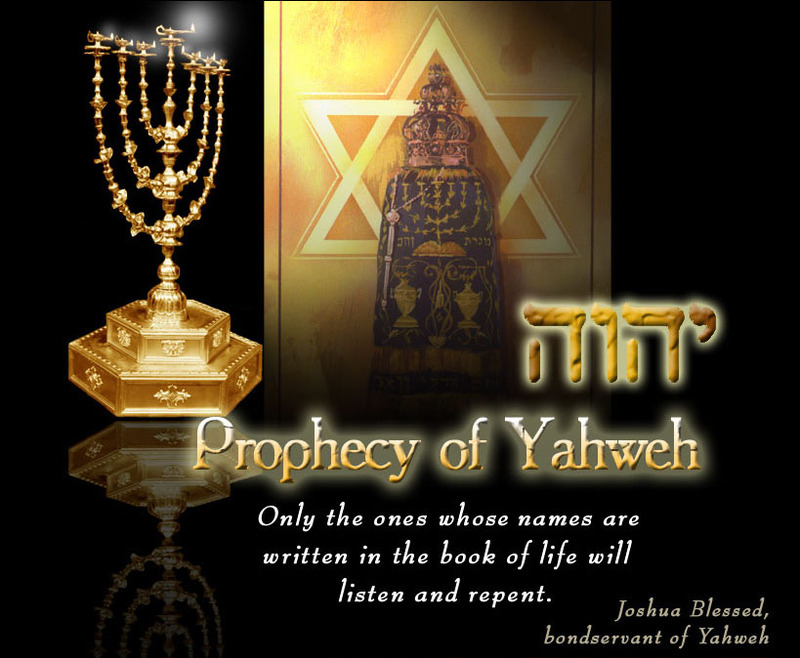 Prophesy and says, Thus says Y יהוה / Yahweh of hosts the King of Israel, the Holy One; Do not rejoice, O daughter of Babylon for the cup even the cup of Mine indignation shall come upon thee also, and I shall cut thee off! And if the land of Israel will say unto thee the son of man, ” Why you prophesied against us ?” Then thou a son of man, prophecy in My name and say to the land of Israel. Thus says the King of Heaven יהוה / Yahweh of hosts, Where is thy love? Where is thy love, the first love that you loved Me? But you have forsaken Me, and loved a strange flesh! Therefore My cup, even the cup of My indignation shall come upon the land of Israel, and I shall cut thee off. And none of you shall escape, but only a remnant, whom יהוה / Yahweh appointed to escape, he shall escape, but the rest of you shall be cut off!And thou shalt know, that יהוה / Yahweh of hosts, has sent me unto thee to speak this words. He who has an ear to hear, let him hear. My 2013 dream’s: Concentration camp in the USA.